Known as the Blue City for its brilliant, cerulean-hued buildings, Jodhpur is the second largest city one of the must-see when visiting Rajasthan and undoubtedly one of India’s most beautiful destinations. For visitors to the city, which occupies the golden, desert-like heart of the region, there are a number of incredible sights that should not be missed. From the historic and lavish Umaid Bhawan Palace to the gardens of the Mehrangarh Fort, we’ve selected some of the best things to do in Jodhpur. With a heritage that stretches all the way back to 1159, the Bal Samand Lake Palace is at once a remarkable historical landmark and a luxurious place to stay whilst visiting Jodhpur. Today, the red stone building still overlooks the calm waters of the 12th century lake. Occupying a 60-acre estate, the palace hotel allows guests to amble amongst its tropical fruit orchards and near the waters. 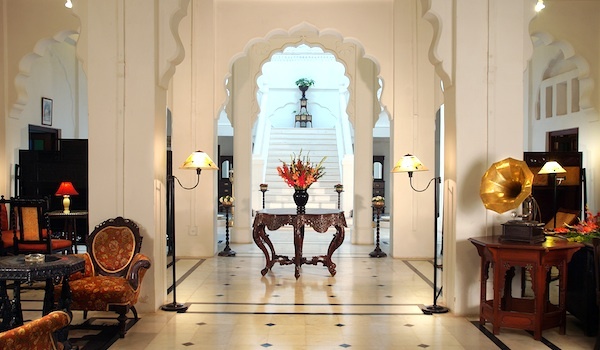 Inside, rooms are lavishly well appointed and draped in traditional Jodhpur textiles. Also on offer are garden rooms, which provide direct access to a croquet lawn, rose garden, and well-appointed restaurant. 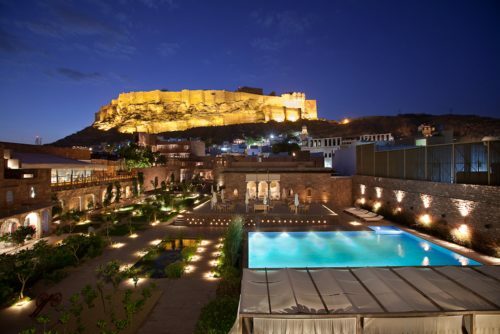 Awarded the world vacation building of the year at the World Architecture Festival Awards in Barcelona, the Raas Hotel in Jodhpur is certainly one of the city’s most celebrated places to stay. 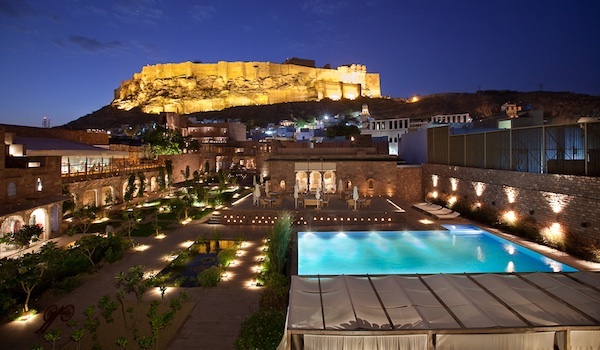 Billed as the first boutique hotel in town, the Raas comprises a complex of buildings (some historic havelis, some new constructions) a stone’s throw from the Mehrangarh Victory Gate. Offering up a heated swimming pool, on-site spa, and two high-end restaurants, the hotel provides an indulgent experience and is one of our top things to see in Jodhpur. 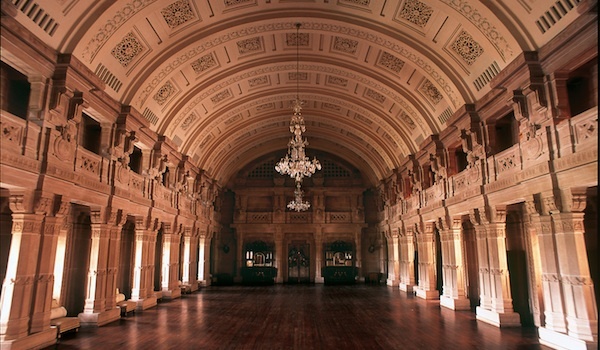 Described as the last of India’s great palaces, the Umaid Bhawan Palace was constructed in Jodhpur between 1928 and 1943, commissioned by the grandfather of the current Maharaja. Built from golden sandstone and occupying 26 acres of gardens, it’s a magnificent historical sight that is still occupied by the region’s royal family. However, the incredible palace, whose architecture marries Rajput and Art Deco styles, is also accessible as a sumptuous hotel for guests looking to experience Jodhpur like royalty. As a bonus, the Pillars restaurant, situated on a colonnaded veranda, offers wonderful cooking. Housed within the Mehrangarh Fort, the Chokelao Bagh is a beautiful, 200-year old oasis of green. 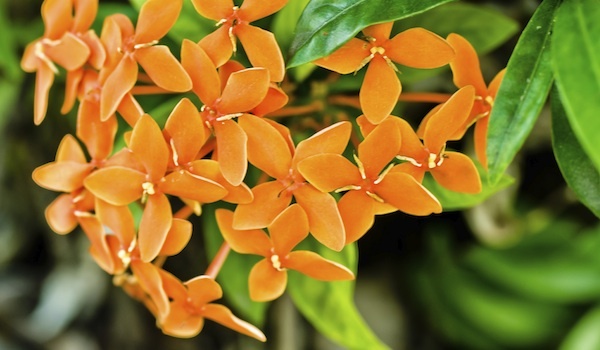 The historic garden, which is divided among three tiers, is filled with the wafting aromas of blossoms and a number of fruit trees – look out for the fruit-bearing banana plants. Recently restored, its views are some of the best to be had in the city. For those looking to while away a few hours, the Garden Terrace Café on site provides a perfectly tranquil setting. For those looking to indulge in some shopping, Maharani Art Exporters offer up beautiful examples of local Jodhpur crafts. Stretching across five floors, the shop is filled to the brim with gorgeous fabrics in all colors. 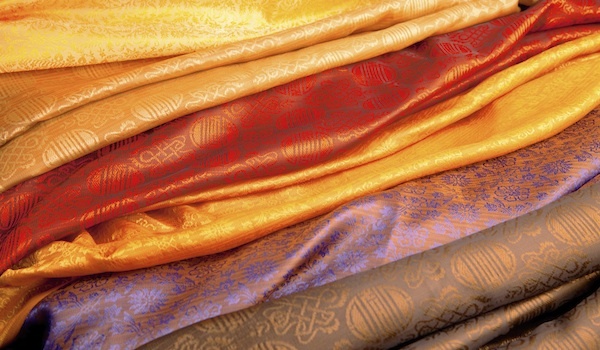 Silk and embroidered pieces are supplied to international designers, but shoppers can pick them up at accessible prices. 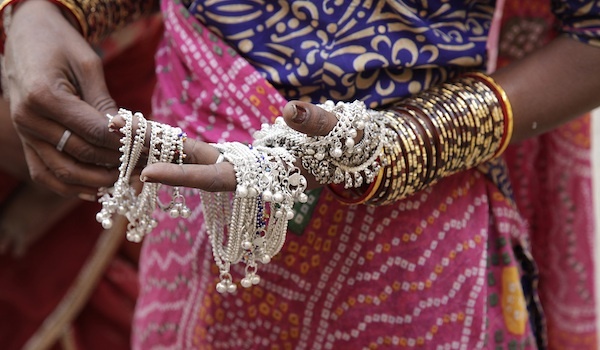 The next of our things to do in Jodhpur is a local outpost that sells handcrafted jewellery, made from sparkling diamonds and glittering gemstones. The family-owned shop is an ideal place to pick up a luxurious trinket, though whether you want to keep it for yourself or gift it is up to you. 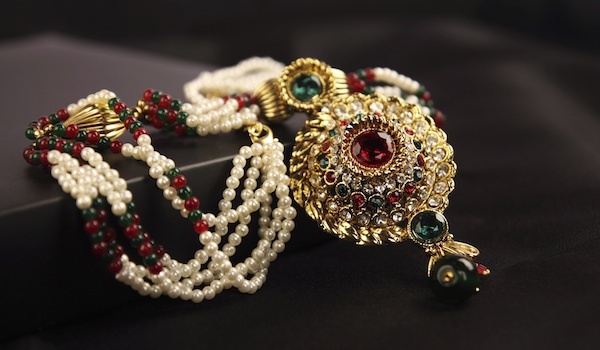 Seeking some special, uniquely local souvenirs to bring home from your travels in Rajasthan? On Silver Street and Cloth Street in Jodhpur, you’ll be able to browse a number of stalls that sell handmade, local crafts. The cloth market, a warren of rainbow-hued shops, is a sight to behold, while local silver jewellery, much of it decorated with tinkling bells, makes for a memorable gift. 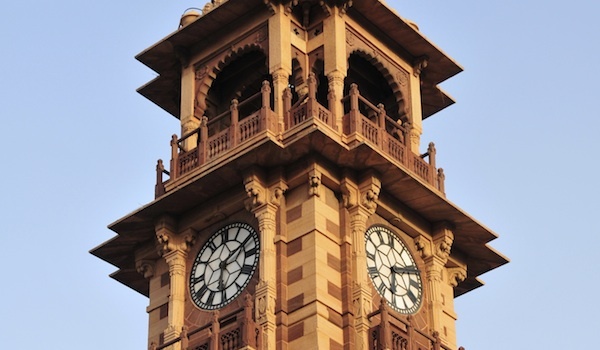 One of Jodhpur’s most recognisable landmarks, the Clock Tower (also known as the Ghanta Ghar) is a beautiful and historic structure. Visitors stopping by to have a look should also explore the bazaar surrounding the Clock Tower, which is a veritable feast for the senses. Selling everything from carpets and filigreed metalworks to leather shoes and other handmade artefacts, the area offers a bustling and vibrant shopping experience. With beautiful rich cities surrounded by vast open areas of desert, the Blue City of Jodhpur can be visited on our tour of Rajasthan; Ride the Romantic Desert.